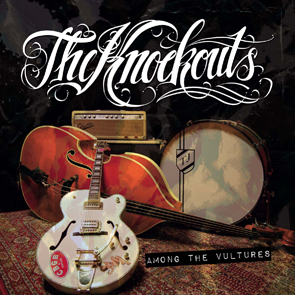 THE KNOCKOUTS – Heat for the Hunted, from the newly released album Among the Vultures was chosen 3rd on Sweden’s National Radio Program – Håkan Persson’s P3 ROCK as the best top ten songs for 2009. Among The Vultures is getting great reviews all over Scandinavia…. “What do you get if you mix the rockabilly style of Stray Cats and the punkrock of Green Day..A TOTAL knock-out….!! Available for World Wide Online Ordering NOW!! !